Fran is a registered nurse, retired, formerly working in the office of her physician-husband, Jim. She is an organist in her church where she participates in various ministries and assists her husband in teaching a Bible study class. Fran and Jim have two sons in heaven, a daughter and son-in-law, two granddaughters, and a grandson. Fran enjoys hiking, sailing, snowshoeing, baking, reading, and visiting with friends and family. Fran’s has authored See You Later, Jeffrey (Tyndale House, 1988) recently translated into Russian andTouching the Clouds, Encouraging Stories to Make Your Faith Soar (NavPress, July, 2003), also translated into Russian and Korean. 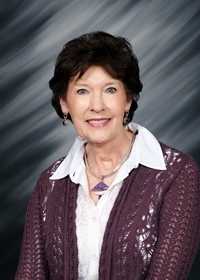 As one of five Greenville writers (“Hens with Pens”) she co-authored the best-selling book Courage for the Chicken Hearted (Honor Books, 1998) and its sequel, Eggstra Courage for the Chicken Hearted (Honor Books, 1999). Those books were later published by Guideposts. She has contributed to many devotional books, including AWSA’s Silver and Gold, Intimate Moments with God, andIntimate Encounters with God; plus In the Garden With God, Christmas With God (all by Honor Books), and Seasons of a Woman’s Heart, Treasures of a Woman’s Heart (Starburst Publishers). Fran has also ghostwritten two books and is editing a new series of women’s Bible study books, the first to be released soon (2013): His Word in Living Color, by her artist-friend, Jeanette Noll Gansky. Fran’s articles have appeared in many magazines including: Decision, MOODY, HOME LIFE, VIRTUE, PRAY, Journal of Christian Nursing, Focus on the Family Physician, The Christian Communicator, COUNTRY, and many others. Fran enjoys speaking for small church groups, and has been the speaker for events in the U.S. and also in Canada. She has participated in mission trips to China and the Ukraine.